After updating my girlfriend’s iPhone 3G to iOS4.1 she noticed that the camera roll had a bug and was showing a large black box in place of some thumbnails. You could still tap on the blank black area and it would load the correct photo full screen, so the photos are still there, it just seems the thumbnails have become corrupted. Fix #1 – You can connect your iPhone to your Mac or PC and download all the images off the iPhone and then erase all the images so your camera roll is empty and the thumbnails should work for all future photos you take. This isn’t ideal though and if you want to keep the images to hand on the phone you’ll need to create a new photos folder and resync the photos to the iPhone for future viewing. Fix #2 – This is a little more complicated but will restore the thumbnails whilst leaving them in the camera roll. The solution is courtesy of CharismaG4toMBP on the Apple support forums. Go to MacroPlant website and download iPhone Explorer, it’s FREE and there’s a Mac and Windows version. The screen shots of iPhone Explorer above are from the Mac version. If you are using the Windows version there is no “Delete” button. You must RIGHT CLICK & choose “Delete Selected” to delete the files. Turn your iPhone back ON. Click on Photos app and it should start rebuilding the library. Don’t panic if it says no photos found initially, give it a few minutes depending how many photos are in your camera roll. UPDATE November 2011 – Having looked at my site analytics it seems this page is being read a lot , especially since the launch of iOS5 which seems to have broken camera roll thumbnails all over the place. Hundreds of people are finding it useful and leaving comments below, thank you very much for all the praises in the comments. Every single comment comes through to my iPhone and I read each and every one. Which some people have reported worked after a restart of the phone. Looking at the camera roll straight away showed all black boxes except for a few recent ones, this is not the best for playing camera based games like ones you can find here, however after a phone restart all thumbnails had been rebuilt and no photos were lost. As I said, I need to do more testing on this but having just deleted the Thumbnail folder contents myself just now it does seem to do the trick with corrupt thumbnails. If you have another issue, like photos actually missing from the camera completely, then try the above method of deleting the sqlite files. Fix #2 worked perfectly. Thanks for the share, been looking for this! i tried this with iphone 6s plus (newest version of ios) and downaloded iexplorer and found the Photos.sqlite file and then i deleted but when i restarted my phone, still the same, anyone know how to fix this ? Hi I’ve tried to contact apple and they just said ‘theres no way of getting the photos back”..
I’ve tried all of your steps but it still doesn’t work. Is it because I’m using iexplorer as a demo and haven’t paid for it? Mine is doing this… Did you find a solution? Thanks in advance for any help. I don’t think the fixes in this post work on iOS 9, your best bet is to connect to a computer, download as many photos as you can and then restore your iPhone from a backup. I was just copying photos and movies from my wife iphone 5. There seems to have been a problem midway as now the movie files are left on the phone but their thumbnails are now gray squares with a small “MOV” in the middle, and when I try to play them the first frame of the video is displayed with the play icon, but a message pops up saying “The requested URL was not found on this server.” When I tap the play icon, nothing happens. this ounds a bit like the problem HJ.T above had? Do you have any fixes for this? If you do you’ll be a hero as this seems to be a common problem with iphone 5. Hi! I imported 50 photos from my iPhone 5 to iPhoto yesterday. After imported and selected “removed imported photos”, the remaining 2000+ photos and videos in my iPhone became invalid files. All thumbnails look like grey movie icons with 0:00 mark on them. After plugging in my phone to iTunes, it shows that my photos and videos files actually still take up some space in storage space so i assume the files are still there. *I do not have back up on iCloud or iTunes:( PLEASE HELP! I just wanted to let everyone know that even with an iPhone 5 and the latest software (iOS 6.1) this trick still works. My photos were corrupt when I switched from an iPhone 4S to my 5, but not anymore. Thank you very much! My iPhone is new with only a couple pics. I moved them to my computer as directed in Fix #1. That did the trick. New photos now show-up as thumbnails in my camera roll. Thank you for the info. As a new iPhone user I found this very helpful. meddyb Thanks for your comment and I’m really glad that you managed to recover all your precious new born baby photos. I have gone through really hard times since i have plenty of pics from my new born baby in there everything was gone….wouch !! I downloaded iExplorer after having this problem today. I have found the photos.sqlite files, but it will not let me delete them. I have windows. I right click the file, click delete, the it asks if i want to permanently delete, and i click delete, but the file remains. Can anyone help me. I would appreciate it so very much. Unfortunately option 2 didn’t work for me — I had an issue where all of my photos in camera roll were blurred after a restore. The photos were there in the camera roll, but once I did option 2, the blurry thumbnails were deleted so I have lost a bunch of photos even though they were only visible as thumbnails! Any other suggestions or methods that I can try? Thanks a lot! Fixed it with #2! 🙂 Cheers! Thank you very much for this post. I had a slightly different problem. I was getting errors backing up my photos from my iPhone to iPhoto. Basically, I was getting an error when I tried to import the photos. Independently, I downloaded iExplorer and copied all the photos and videos to a folder on my hard drive (22gb! ), then deleted them off my iPhone. But the iPhone still thought I had 1800 photos on the phone, and all the thumbnails were still there. Then I restarted the phone, and as I wanted, all the photos are gone and I’ve got a clean Photo Library. (although having read your post, I may need to go delete the thumbnails too). Thanks for a great post, it really helped me out, as I’ve been struggling with this problem for a while. One tip I would give however is make sure that you copy the entire contents of the DCIM directory from the phone. When implementing this fix I had problems with the phone deleting the source content for items where the thumbnail was missing. e.g. I was resorting from an could back up where the back up had the corrupt thumbnails. I would restore, but once I reintiatialised the camera roll by deleting the PLIST and SQLLite files – I would loose some of the restored content. Hence – copy out the DCIM directory content first as an extra precautionary measure. Wow! Option 2 worked like a charm! You are a rock star buddy! Thank you! Thank you for fixing my iphones camera roll! 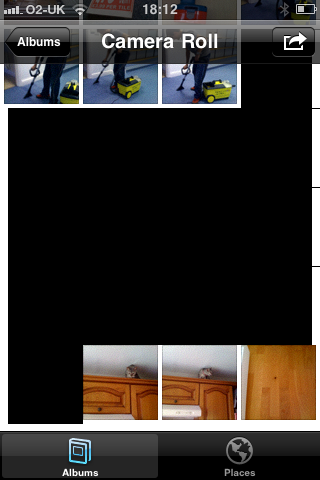 The black boxes situation occurred when I used preview to delete all the photos in the camera roll. The photos were deleted from the phone, but when I looked at camera roll, some photos were there in between the black boxes. I was going to try the solution stated here, but before I did, I tried something that is recommended often when weird issues appear on computers: I rebooted. Problem solved. I was researching the least dangerous way to restore the thumbnails and when I came back to the iphone the next day they had all returned!! I think it was just busy restoring other stuff and finally caught up to regenerate the thumbnails by itself. Worked! Only thing is the software is a bit buggy for the iPad, but if you move fast, you can delete the contents of the Thumbnail folder and it works like a charm. Thanks for the directions! I have a different (but similar) problem to this one with the thumbnails.. I have a lot of photos that appears on my camera roll, but when I touch the thumbnail to open the photo, it opens a different photo (that is even already deleted)… or sometimes it just open a black screen… Is there any solution for this? I`m really desperate!! Option 2 worked great. I had to use this method for my wife’s iOS5 iPhone. Pretty simple and easy to do (basically just deleting the 4 files in the thumbnails folder and restarting the phone). Thanks for your help. Thanks for posting this. 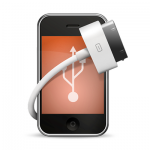 It worked for my iPhone 4, IOS5. Camera was taking photos but crashing before saving. Option 2 for IOS5 – plus two restarts – fixed the thumbnails from the Camera app, and then the Albums in the Photos app. Thanks. I’m on an iphone 4s (ios 5.0.0) and maxing out my iphone’s disk space led to corrupted thumbnails. The photos were all fine (checked and downloaded with iExplorer). I went for the option to just delete the four files in the Thumbnails folder. Then after a reboot the thumbnails were rebuilt and it was all sweet again. Nice job. @Greyhound Gourmet Thanks for the comment and more importantly thanks for the donation, it’s very much appreciated! I’m really glad it worked for you and helped recover all the photos. I’ll admit I was scared, but it did the trick. After many fruitless hours of wasted effort, this one did the trick. Thanks a bunch, man!!!!! I didn’t try Fix #1, went straight to Fix #2 and it worked great! Thanks so much! I had my iPhone 4 for just 2 days before i took photos with it of my first niece being born. Then, a few days later, I loaded photos from another phone onto my iPhone. All the photos blacked out, and the phone wouldn’t show any photos I tried to take after that. But, as soon as I followed Fix #2, they all showed up!!! THANKS SO MUCH!!! iexplorer is great and this step-by-step problem-solver is great!!! totally worked!!! i only suggest NOT trying to transfer pics first (black or not) to your computer. Do this fix FIRST. I imported pix first in hopes that would work, selected erase when finished importing, then tried this fix and the black box is gone, but it wasnt able to restore the pix that were stuck in that black box 🙁 BUT- the black box is gone and i have taken pics since and no black box! YAY! thanks for the help! VERY easy directions!!! THANK YOU! Works like a charm! i was skeptical at first, but went ahead and did process #2. deleted all the files in the subfolder, rebooted, and everything returned… even the pictures that were missing. Thank you so much! Thanks , Worked exactly as needed. iOS5 Fix #2 worked for me, all original photos are still there, thank you very much! Top post mate fixed the black thumbnails on all my wallpapers – thought it had came about from installing h1siri or another jailbroken app but must have been since IOS4/IOS5 update and i didn’t notice. Had this problem pop up last night and was hoping I wasn’t going to lose a bunch of family photos – downloaded the software – deleted the thumbnail files and ran a quick reboot – voila – everything back to normal! Thanks a million man! It worked! I have an iPhone 4 with iOS 5. Deleted all the contents in the Media > PhotoData > Thumbnails folder, restarted, and voila! AMAZING!!! Fix #2 totally worked. Noticed several pictures and videos i took on my sons bday completely disappeared a couple weeks ago and was totally losing hope that theyve vanished for good until i stumbled on your post! Thank you Thank you so much!!! Thank you for this great fix. Just came home from a trip to find my photos corrupted (or so I thought before reading this) – I actually tried deleting the “black boxes” but that didn’t help of course. Even the photos I could see, seemed low-res and grained. After following your fix (I deleted the Media/PhotoData/Thumnbails folder, as I am running iOS 5), everything was ok again. (I can only *guess* that luckily the photos app didn’t manage to actually delete them since the links between the tumbnails and actual photos were broken). I was actually backing up to iCloud, but since my hotel had a flaky wifi, the last backup I had was from 24hr ago and missing a whole day worth of photos. * running iOS 5 on iPhone 4. Thanks so much! Deleting the first set of files you mentioned in the iOS5 addendum to your blog worked like a charm! I recently update to ios5 — before the update I never had problems with my camera/photo albums app. Thanks so much! I used fix #2 last weekend and it worked like a charm. This week I took more photos and everything was fine after using your fix.. but then a couple days ago when I open my Photos App and try to choose an album it crashes. The same happens when I try to view my albums from any other app for choosing a photo off my phone. I tried the fix for deleting the thumbnails but I’m still having the same problem – when I choose an album to view it crashes. Any suggestions for how I can fix this??? THANK YOU SOOOOO MUCH! I thought my pictures were gone forever! 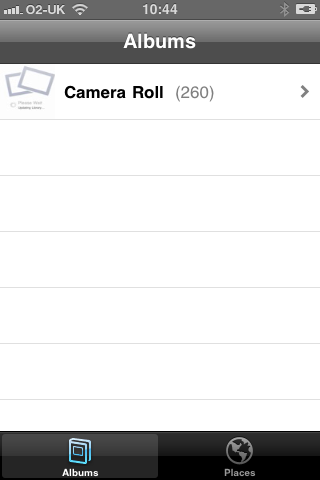 Not only did I have black thumbnails but my app would crash if I tried to open my camera roll…. the fix #2 helped!! It fixed everything! Thanks again!!! I lost my camera roll on my 3Gs after upgrading to IOS 5. 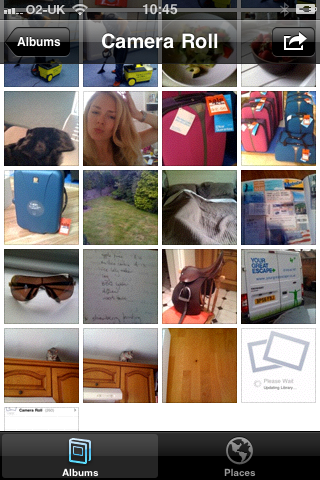 After downloading iExplorer and following #2 fix, the camera roll was back instantly. Big thanks to this site and iExplorer creator. Thank you kind Sir, iOS5 on iPhone 4, fix #2 worked a treat, deleted all the files you suggested for iOS5. Camera roll and camera, and photos app not crashing anymore! I deleted the thumbnail files.. works! restored all my photos! Apple need to fix this problem tho.. My photos became pixelated and distorted after i took a video randomly.. Thanks a lot. It worked for me but the only thing is that it created a new folder named “Faces” and under that are 2 subs named Camera Roll and Faces. After a restart. Everything is back now. By the way, had just updated to iOS 5.01.
thank you again , it happened to me before in my 3gs iphone and now again with my Iphone 4 IOS 5, what i did is a little different when i opened phone data, i noticed the date of the mentioned files, it was the same date that my iphone photos went black so i deleted only these files and i t worked perfectly . thank you a lot, you should be hired in Apple, this happened to me while i was in London and i went to 2 apple stores and no one was able to sort out my problem. Deleted all changes and photo.sqlite files, rebooted and worked. Deleting all pics and thumbnails and restarting worked for iOS5 on 4S. 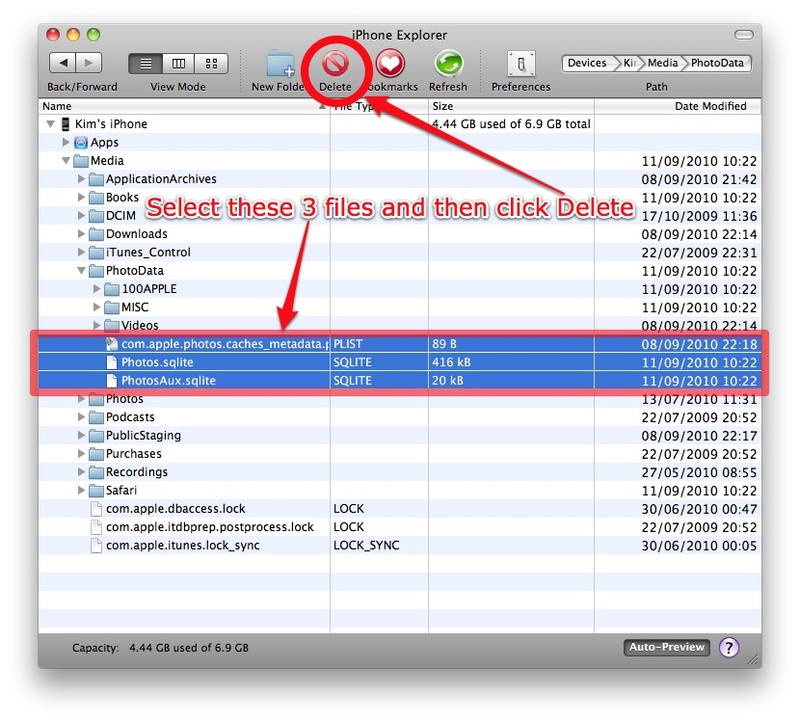 iOS 5 fix #2 worked where you just had to delete the 4 files. Thank you for the help. A week of headaches gone. I have an iphone 4 running ios5. Fix #2 worked and restored priceless photos to me. Did the same as KLEP. Well, I just went for the hail mary and deleted all the files in that folder. Wish for the best, prepared for the worst, and it worked. Restarted the phone, went to photos, gave it a few minutes and all my photos were back. Even the ones I thought I had lost because they mysteriously disappeared on me. Thank you so much for this! Having the same issue that the gentleman above me posted. Currently running on iOS5 and I see only those same files he listed. Not sure which to delete. I noticed pictures I took last week are now gone from my Camera Roll completely but when I checked using iExplorer, they’re still on my phone. Just not showing up. Also have a bunch of photos scrambled all out of order and the thumbnails change as I scroll through them. Just came back from a concert, took tons of great photos and I’d really hate to lose them all. This all started mid concert when a video was stuck on “Saving Video”. It let me take a few more photos after but I can only view the thumbnails when i click on any photos in my camera roll and a few are blacked out. 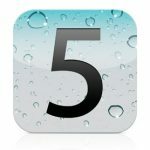 Any word on which files we should go for in iOS5? Any idea which of these to delete since they are a little different that the files you detailed above? Thanks! Also, for those on iOS5, go to your camera roll, and then choose “Places.” There, you WILL see all of your photos. They are still on the phone, it’s just that the thumbnails are not present ONLY when looking at the camera roll in general. From Places, the thumbnails were there for me. I took a minute to thank you for your help recovering my crashed camera and camera roll on iphone 4gs and ios 5. THANK YOU SO MUCH! I was on the brink of tears after I lost most of my photo album! The 3 files you say to delete are not accurate in iOS5. I was going to try your post but the instructions are no longer up to date and decided not to risk it. 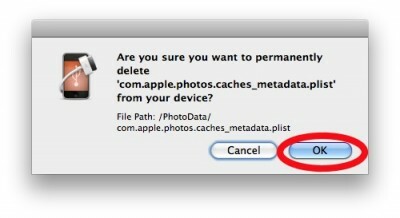 Thanks anyway…sounds to dangerous… I guess I’ll live with my deleted photos and start backing up! FIX #2 WORKED GREAT! Thank you so much! I was starting to get extremely frustrated with this situation. Just before I was about to regret updating to iOS5, you go and post this fix……YOOOOU’VE TOTALLLLLLLY REDEEEEMED YOURSELFFF! thanks so much for the post, truly helped me out and love learning and putting things into practice so now i know for the future. YOU.ARE.A.BoSS! THANK YOU SO MUCH THIS METHOD WORKED APPLE NEEDS TO FIX THIS BUG! Repaired the damaged Camera Roll! #2 fixed not only the problem with my photos, but also the problem where the camera crashed after taking a picture! Thank you is not big enough of a phrase to say at this point! After spending almost two hours on the phone with Apple and hanging up feeling SO frustrated b/c nothing was fixed, I thought this would take days to remedy. I tried Fix #2 and within minutes my photos were back on my phone instead of a black screen and my camera was functioning again. Apple called back and asked what I did to fix the problem – I couldn’t say enough about your website!! I agree with JF since this seems to be a common problem and obviously an issue when even a senior technical advisor can’t help this quickly! Thank you! Thank you! Thank you! Thank you so much for working this out and posting very clear instructions step by step instructions. This fix worked for me in under 20mins using http://www.i-funbox.com/ after two days of feeling sick at losing a pile of cool pics. Apple should pay you a commission as you have spared their Genii an ear-bashing from me and the rest of the angry crowd. totally worked for me! thank you SO much. Thank you for your quick responses, I have pictures & icons. Is there anyway to easily merge these back into just a single folder? And how would I know which of them the iPhone will save to? So it’s quite annoying to find the latest photos taken by browsing through each folders. I cannot cut, delete and paste between the folders. Will the above solutions work for this sort of problem too? THANK YOU SO MUCH!!! I have the iPhone 4S. I just deleted all the files in the PhotoData folder, restarted the device, and then took a picture and it worked! Nothing lost. I did this, but now everything in my photos is black. I went back to iExplorer & one of the files to be delete was still there, which tells me I probably deleted a file I was supposed to by mistake. How do I get them back & start over? Thanks so much. This worked great and all is back to normal. Much appreciated!!! OK, apparently I had so many photos iTunes wouldn’t resync the entire checklist, so I had to resync a few albums at a time. A pain, but at least everything is back. I restored my iPhone 4S from a backup of my old iPhone 4. However, the photo library on my phone just kept displaying that there were no photos on my phone! This was not true since I could see in iPhone Explorer that the photos were present on the phone but were just not showing up in the library at all! I tried Fix 2 and this solved my issue as well! Thanks so much! Now I can peacefully eat dinner! Oops. I did get my Camera Roll restored – but now I can’t seem to sync any of my iPhoto albums back to my iPhone. All the albums are checked to sync, and when I click “sync” it looks like it’s working, photo storage goes up on the “Capacity” bar at bottom of iTunes. I go to Photo on the iPhone, and only Camera Roll shows up! Why aren’t iPhoto albums syncing? Amazing. Fix #2 worked great. Thanks. Thank you! I used this on my iPhone 4S and was only able to find the Photos.sqlite file. Deleting it seems to have fixed my problem. Hopefully the absence of the other 2 files won’t prove to be an issue. Worked for me as well. Note that I couldn’t delete some of the files, but then I rebooted my iphone, didn’t start up any app (including the photo viewer) and then I could delete them, so they must have been locked open. My problem was similar, but slightly different. While some photos had blacked out as above, others would have a landscape placeholder with a grey border and some would become just stuck in the not-quite-rendered, pixelated stage. Shutter speed reduced considerably also. Fix #2 saved my iPhone from being thrown at a wall. Many thanks. I had the same problem with the Iphone 4S. however the program didnt work for me so i downloaded an alternative called ifunbox. this did the trick and i could see the three files that needed to be deleted. I am seeing a bunch of files as you described…not just the three mentioned. Did you also delete a file called “changes” and one called “changes-wall”. Not sure if these are critical or ok to delete…thanks! I only deleted the three files mentioned in the blog. I was about to give up. You rock, THANK YOU! Saved my day! Just removed the 3 files from the Media->PhotoData-folder. #2 worked perfectly on brand new 4s Iphone. I did not see the 3 files suggested above. There were about 6-7 files in the folder suggested. Since the phone was new and the photos not critical I deleted all the files in that folder. Thanks, it worked very well. Fix #2 works like a charm! Thank you thank you thank you! I had just updated my iPhone 4 to iOS 5 then went on vacation to San Francisco. I had taken a lot of photos when all of a sudden I started getting the black boxes and couldn’t access any of the new photos. I found this thread online but couldn’t try it until I got home to my Mac. I kept taking pictures that I couldn’t see having faith this would work. IT DID!! Thanks a billion, you saved my photos AND my vacation!!! AWESOME!! My photos app got corrupted somehow, and kept crashing (couldnt open it). All my pics had not been backed up and i was afraid that i’ll have to do a restore but THIS WORKS U ROCK MAN! This still works! Just had to fix mine after updating to iOS5 yesterday. My problem is the opposite, I guess. The photos appear on thumbnails but when I open them they are just black. My library made duplicate copies of the images and I erased the other copies. Where can I find the folder for the deleted photos? I have already downloaded the software but don’t know how to access the invisible files. I thought I might write a little for ubuntu users as they dont have iTunes natively available without using PlayOnLinux. So, It has many reason basically to show invalid thumbs or malformated cameraroll view, this usually happens when you cut photos/videos from your iphone folders and paste in some local folder (i.e. deleting from phone). But still the thumbnails data remains in the phone that is maintained by phone, normally an sqlite file and some XML files. Ubuntu users need to delete those files too (it is safe don’t worry). Now turn off the phone and start again, everything will be fixed. NOTE: Any new images that were taken after the problem arrived are not lost, and iphone is going to generate thumbs for new photos automatically on startup. My camera Roll did not say “Please Wait. 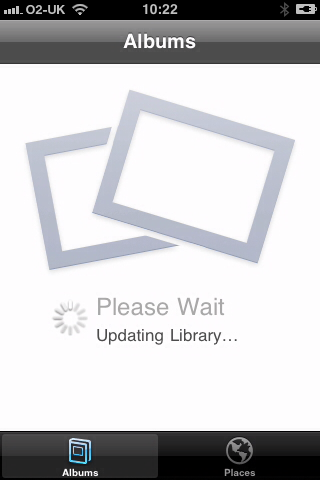 Updating Library…” I took a new picture and restarted my phone, but only the new picture showed. And “photos.sqlite” file is created in my PhotoData folder, but “com.apple.photos.caches_metadata.plist” and “PhotosAux.sqlite” is not. hii:) i tried fix 2 thn my camera roll said”no photos or vids” thn i took a new pic like a person suggested it here but only the new picture showed:( so i restarted my phone again and it WORKED!!! THANK YOU SO MUCH!!! This fixes the problem with Photos in iOS 5 Beta 6 Restoring photos bug. Fix #2 worked great! Fix #2 worked like a treat for me on my non-jailbroken 4.3.5 Iphone 4. Got rid of my black thumbnails I had in my whatsapp camera roll. Thanks again! …However, after fix # 2 didn’t seem to work, I went into settings, erased all content from iphone, then restored and it worked just fine…..so thank you?!!! So basically I can’t get to the point where I can delete the files! anyone has any idea? or know another program that can access those files? im on windows 7 btw. My camera roll became corrupt when upgrading to the iOS 5 Beta 2, I had duplicate photos and could only see a limited amount of my old photos. The camera roll would generally crash whenever accessing a messed up photo. Fix 2 above solved my issue. Thanks! Tried to go with #2 but I cannot see the “photodata” folder. I have a “photos” folder that only includes “thumbs” & “videos” subfolders as well as “photo database” icon. Any help? Thanks, fix #2 worked with iFile! Thanks! Your method works for me! THANK YOU! I had a corrupted database that manifested as un-delete-able photos – nothing would do it: Not IPhoto, Image Capture, or ITunes. Killing the dbase files as described above did the job. Now I can delete the pix off the phone and recapture the storage space. You rock! Thanks for the tip! I had 2,700 pixs left over from a trip overseas and was having heartburn trying to delete them. It would have taken a lot of patience and time to do remove the offending ‘black’ frames & thumbnails manually on the iPhone. BTW, on the post, there is a typo; ‘macoplant’ instead of ‘macroplant’. Awesome… Fix 2 worked for me. Thanks. Didnt work for me =( lost all my photos. tried taking a new picture but Nothing!!!!!! Anyway to get my photos back? Fix #2 worked perfectly on my jailbroken 3g not been able to see half my thumbnails for ages and now theyre all there again. #2 was super easy and worked perfectly!! I was freaking out when I saw all that black space!! I had over 500 pics and videos of precious priceless moments of my infant daughter. Now I have them all again! Instructions were SUPER easy to follow and the example pics helped a lot! Thank you!! Fix 2 worked perfectly and very easy to do!!!!!! fix #2 worked on jailbroken 4.1 iphone 4. thanks! Thank You! Fix #2 worked! Fix #2 worked a treat. Many thanks! #2 worked beautifully on my iPhone4. Thanks!! i’ve read thousands of thank yous and i have to be one more… i havent been able to see my thumbnails in months! you are a genius! to everyone who’s heart starts breaking when they’re pictures don’t appear (mine did) as i read others say just take a pic with your camera and they ALL come back everything fixed..
#2 got rid of the black boxes, but it also got rid of the photos that went with them. Didn’t make me any worse off than I was, though, given that the photos were lost to me as soon as they went black. Thank you so much! Fix #2 was quick and easy. I greatly appreciate the step by steps!! TOTALY CANNOT… DONE ALL STEP BY STEP… NO ‘ UPDATING LIBRARY ‘…. WHAT CAN I TO DO NOW ?? ANYONE CAN HELP ME ??? @LINGLE @DDB – There must be some other problem with your iPhone, are you sure it’s running iOS4 and NOT jailbroken in any way as this can make a difference. Did you also ensure you only deleted the 3 files shown in the screenshot? If you have only deleted those 3 files then there should be no way you could lose the photos completely as those 3 files are simply a cache of the thumbnails of the photos and not the actual photos themselves which live in a different folder. 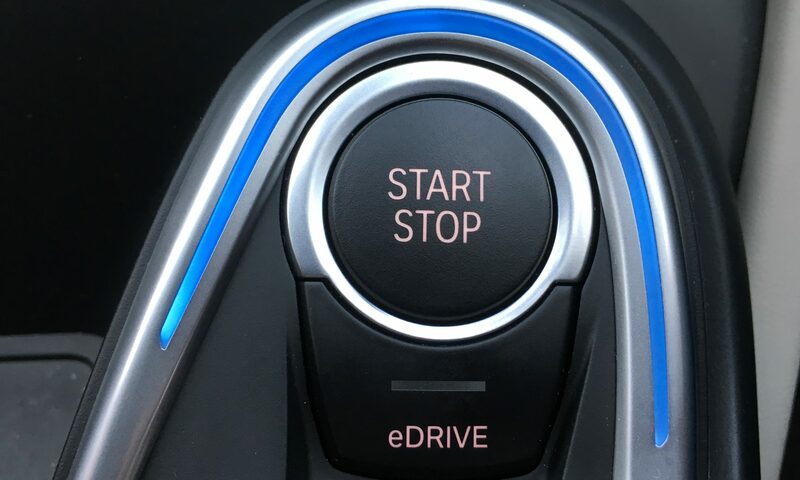 Have you tried turning the phone off and on after completing the steps above and then taking a new photo? Thank you to the moon and back ! #2 fixed it fast and easy ! Man I love the internet and ‘iPhone Explorer’ !! after doning fix #2 it only returend 329 !! Thank you, thank you, thank you. Fix#2 worked perfectly. I’ve been worrying about this black out since updating the OS and my son’s iPhone doesn’t have the problem. Thanks again. I’ll follow your website from now on. Yes! Fix 2 worked great if your camera roll doesn’t appear just take a pic and then it will rebuild. Updated my old 3G to OS4.1 and half of my roll went black. I already had iphone explorer installed from having NEEDED it before on another issue, and so did #2; Worked a charm. Sadly these issues highlight that Apple has problems assuring quality despite having so few devices in a highly controlled and closed environment. If they had as many devices as their competitors, equally open to user control, well.. they’d be flat on their face. in the mud, being trampled by their own high horse. May the internet fairies bless Fair Use. I am not very ‘techy’, but I did the above, and all of the photos on my “camera roll” came back!! Thank you so much.!!! didn’t work for me….I cannot turn off my phone and keep my cameral roll photos. If I turn off my phone I lose whats in my camera roll. my previous Iphone 3GS did the same thing. Anytime I took photos,if I turned my phone off I would lose any photos in the camera roll. Absolutely brilliant! Fix #2 worked an absolute dream and it took me about 2 minutes. Quality. Like everyone else has stated, worked great! Thanks. Bless your heart…..Thanks so much for the fix! I’ve bookmarked this website for the future! I was a bit worried but the black out was so annoying I figured, whats the worst that can happen? I have to restore my iphone? I baclked up my photos and did step #2. Super scary, but it worked. If your camera roll is missing after this take a picture and that will get it back. I have an iPhone 4 with Jailbroke OS 4.1 and it worked pefect! Thank You so much for the info on this program. I cured this problem simply by powering iphone 4 down then restarting. Wow that process scared me to death. My camera roll was empty and shut off automatically and my camera shot off automatically too. Had to restore my iphone from backup. This was a sketchy process, I can’t believe I deleted iphone factory settings off my phone. But it worked. At first the “Camera Roll” did not appear, but after taking a new picture, it appeared with all my photos and thumbnails. THX!!!! Thank you so much for this advice – Fix number 2 worked perfectly for me and even left my video thumbnails intact too. Fantastic!! Used fix #2. Worked like a charm!! Thank you so much, I’ve been trying to fix this out for days and all the people at my local At&t store would tell me was “call 1-800-my-iphone”!! Perfect! Great tip, Fix 2 worked perfectly and quickly. Fix #2 helped and thank you so much for posting this fix My pictures are back. THANK YOU so much for posting this! Step 2 was so easy and you’ve done an awesome job with the additional screenshots. IT WORKED like a charm!!! You were the best solution out there. Fix #2 is way easy, just pay attention to step 2. I only deleted one file instead of 3 the first time and had to go back and redo. Now my camera roll is working properly again. Thanks!!! wow! GREAT fix, man. fix #2 worked like a charm on my iPhone4 after i lost all thumbnails (after 4.1 iOS update). didnt’ take long either. even video thumbnails returned. ***NOTE FOR WINDOWS USERS*** the screen shots of iPhone Explorer are from the Mac version. the Windows version worked great, but there is no “Delete” button. You must RIGHT CLICK & choose “delete selected” to delete the files. anyone who says apple products “just work” isn’t nearly as smart as the guy who posted this fix. thanks again! Thx a bunch! Fix #2 worked. this is what I get for skimming. NVM, I see what mistake I made, duh. i am unable to delete or click and drag to trash the files above. help? thanks so much!!! worked perfectly!! Thank you SOOOO much. fix 2 worked perfectly! Thanks so much….. fix # 2 worked just as you said…. must say, I was a little worried when the photo app came up blank, but after a few more seconds, it righted itself !!!!! Thank you so much for your help. I used fix #2 and it worked perfectly. The screen shots helped as I had previously tried to follow someones written instructions and failed. Wow!! Fix #2 worked beautifully! I was freaking out but my pics are back. Fix #2 worked like a champ! Thanks for the help – much appreciated! Thank you! I have been trying to fix this for weeks. I used fix #2 and it worked just as you said. All my camera roll photo thumbnails are back, as well as the videos. The videos don’t have a thumbnail, but I can live with that. Thanks again!! Next PostNext Elago S4 Breathe – perhaps the thinnest and best case for iPhone 4?